SalesSeek uses mailto links which are essentially a type of hyperlink, but rather than opening a new webpage, it opens your email client at the compose window (usually with the email address already filled). If you use Windows the usual default is to open Outlook, on a Mac its generally the Mail app, but what if you'd prefer to use Gmail instead? Firstly, open up Google Chrome, and go to Gmail. In the address bar a small icon should appear that looks like two overlapping diamonds. If you do not see this icon, skip to the Verify Setting section. Click on the icon, then choose Allow, and then click Finished. 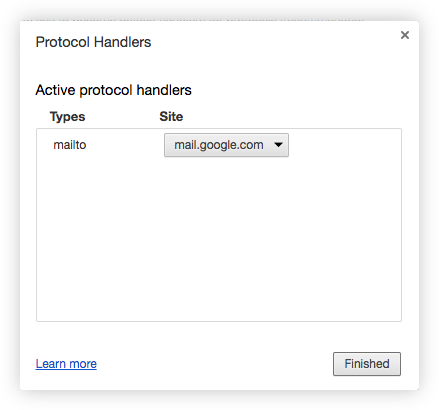 This will now set Gmail as the default email client for clicking email links within Chrome. To verify that the correct setting has been saved. 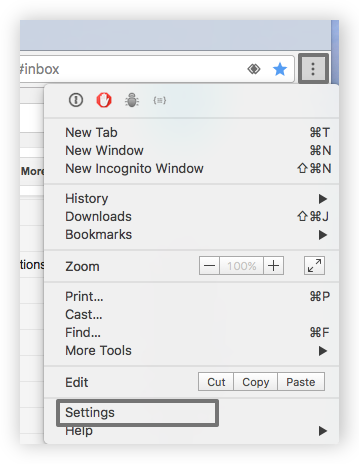 Go to Chrome Settings.